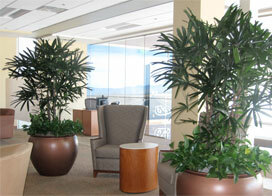 Interested in enlivening your space with interior plant design? Junipers offers free, no-obligation consultations. 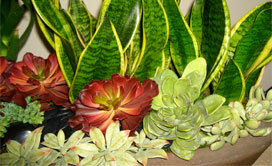 We'll customize a plant-and-container design specifically for your space and budget. 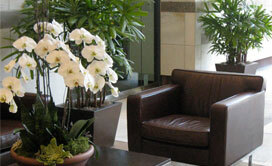 Already have an interior plant design service? Junipers' innovative design, friendly service and exceptional value are all second to none. If you're looking to upgrade from an existing service, give us a call. With a free, no-obligation consultation we'll outline all the ways that your space will benefit from the Junipers touch. Junipers, Inc. guarantees professional maintenance services to ensure that your plants always look their best. If any plant should lose its healthy condition, we'll replace it with a new plant of same size and variety at no extra cost. Our horticultural technicians are trained, uniformed and friendly. 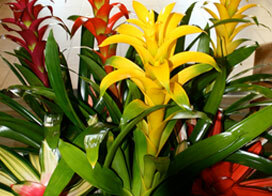 In maintaining your green environment we never use toxic chemicals or pesticides. 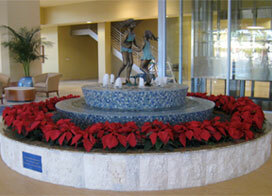 Please contact us as soon as possible for holiday installation consultations. Orders placed after October will be fulfilled based on availability.